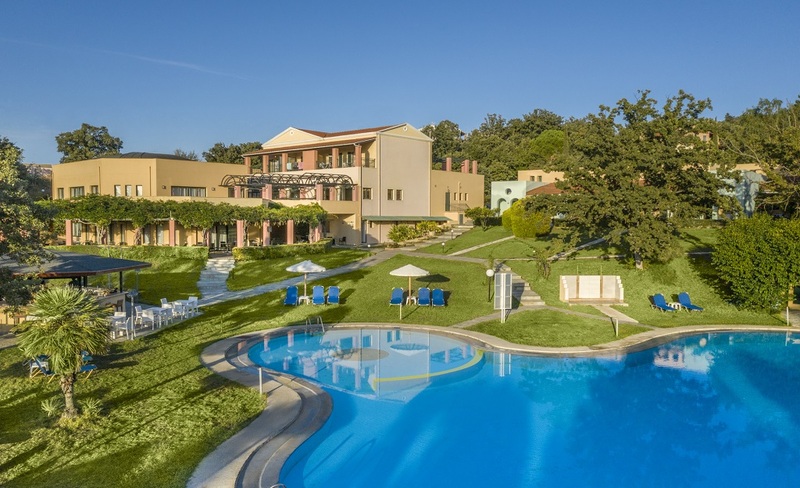 The resort is situated 500 meters from the beautiful 8 km long beach of Acharavi, in the magnificent island of Corfu. In the complex there is a main building which houses the dining room. It also boasts a well stocked bar and lounge areas for guests to relax and enjoy themselves. The complex also has two swimming pools (one adult and one baby pool), a play ground and table tennis facilities. There is also a bar next to the pool and a car-park for guests with cars. It is definitely a place which offers relaxation and it will be a holiday to remember. 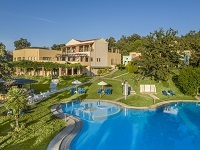 The hotel is located approximately 37 km from the airport of Corfu.